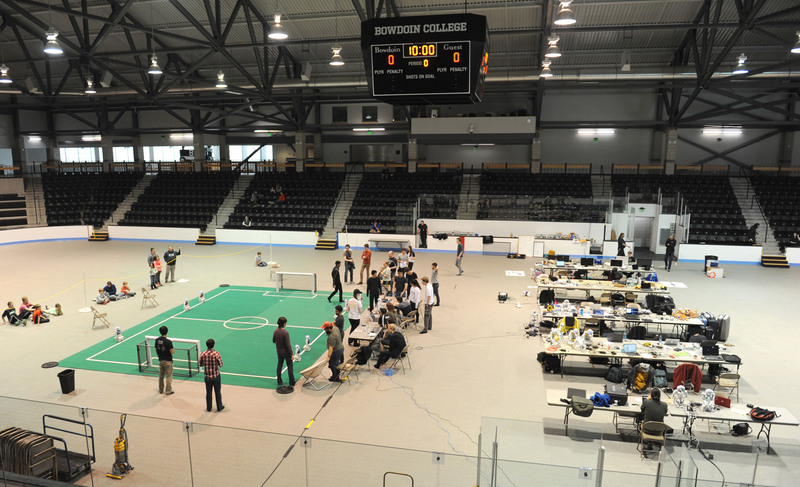 For the first time since 2009, Bowdoin will not host the annual U.S. Open for Robocup, a tournament in which student-programmed robots play soccer against one another. Instead, teams will compete at the University of Miami in Florida during the weekend of Saturday, April 29. The move largely stems from Bowdoin’s inability to keep up with constantly changing Robocup technology due to lack of funding. Financial shortfalls have left the team concerned about its future—including its ability to compete at the Robocup World Championships. Professor of Computer Science Eric Chown said that the primary reason for the change in location was that the playing surface which Bowdoin uses for Robocup is not the same turf used at the World Championships. University of Miami has the proper turf material. Additionally, teams from Mexico and Chile expressed interest in competing in the competition and preferred Florida as a location for travel purposes. American teams agreed on the location change, which was announced on March 13. The Bowdoin Robocup team, known as Northern Bites, has yet to determine whether it will be able to travel to Florida to compete in the tournament. In the past, the team has received most of its funding through donations from alumni and grants from the National Science Foundation, but it is unclear whether these are viable sources to cover travel expenses. 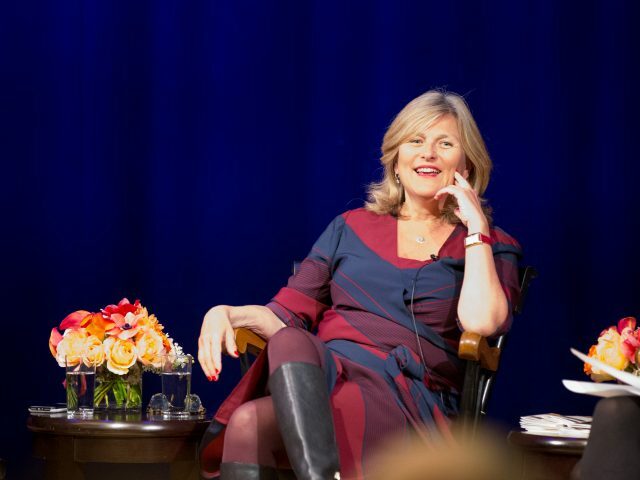 “I had hoped that some alums might step up and provide the funding, and we had heard from some alums that there might be some interest in that, but as far as I know, that hasn’t happened,” said Chown. Students would have to miss a significant amount of class to compete in Florida. Additionally, the tournament dates—different from past years—conflict with Ivies weekend. 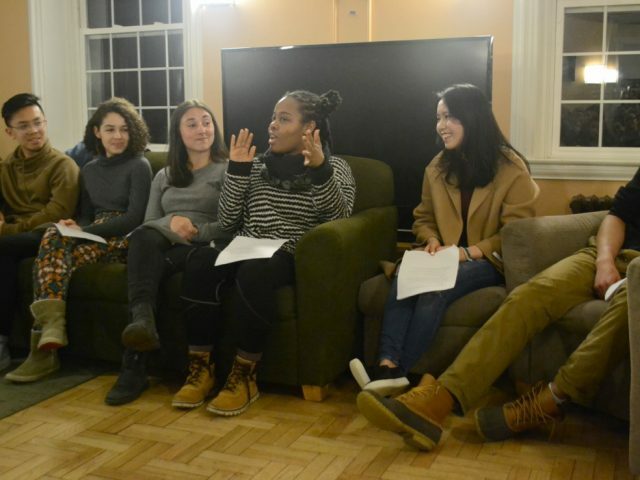 “One of the nice things about hosting it [at Bowdoin] is there is very little impact on students in classes and so forth,” said Chown. 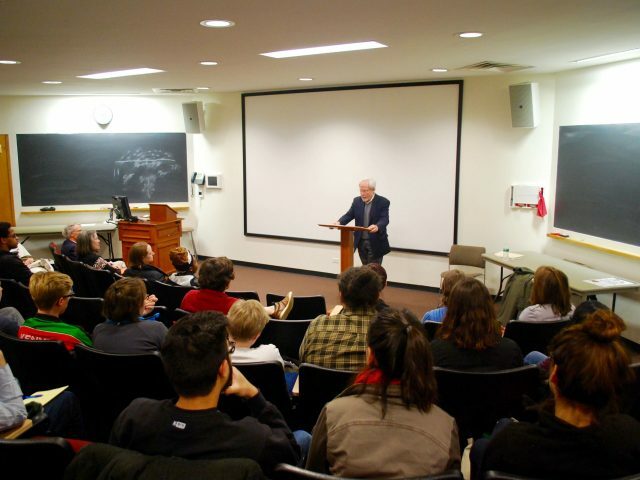 In past years, Bowdoin was the only college interested in hosting the U.S. Open, Chown said. He also noted that organizing the tournament is a substantial task. Konstantine Mushegian ’17, captain of the Northern Bites, is hoping that the team will be able to compete in April, but he worries that missing class will discourage students from going. Additionally, team members are aware that—regardless of their performance at the U.S. Open—they would be unable to attend the World Championships in Japan due to lack of funding. “Since we’ve known we’re not going to Japan, we haven’t been practicing with the new carpet, so really going would probably serve more of an educational purpose for new students who are younger, rather than for old students who are just going to go do the same thing,” he said. Mushegian also expressed uncertainty about sources of funding for the team’s travel. If the team does not receive funding from alumni donors, students may approach the administration for funding or pay their own way. “It’s kind of up in the air,” he said. Continued technology changes cast additional uncertainty on Robocup’s future at Bowdoin. Chown said that a new type of robot may be required for Robocup competitions in the coming years. Good thing we’re spending $8 million dollars renovating Whittier Field instead of on giving students access to opportunities in the fields of robotics of software engineering. Message received, Bowdoin! Too bad the College couldn’t find the resources to continue to host this event. I suspect that by redirecting the funds used to purchase and distribute Tampons in select men’s rooms on campus, the College could have purchased the new floor needed to keep the program in Brunswick. Bill– BSG has specific funds and is able to use them on small projects, such as placing a limited number of tampons around campus for menstruating students. Larger projects and funding come from the administrative level– from what I have heard, the team did not receive funding for travel to international competition, which affected their competition status. Ultimately, the school, not student government, made this decision. You are right, it is too bad, because resources are being distributed by the administration in a way that does not benefit all students equally. In addition, perhaps if men stopped throwing the unused tampons away, we would spend less money providing them.